Kirkburn is a small village near Driffield, in the Yorkshire Wolds. 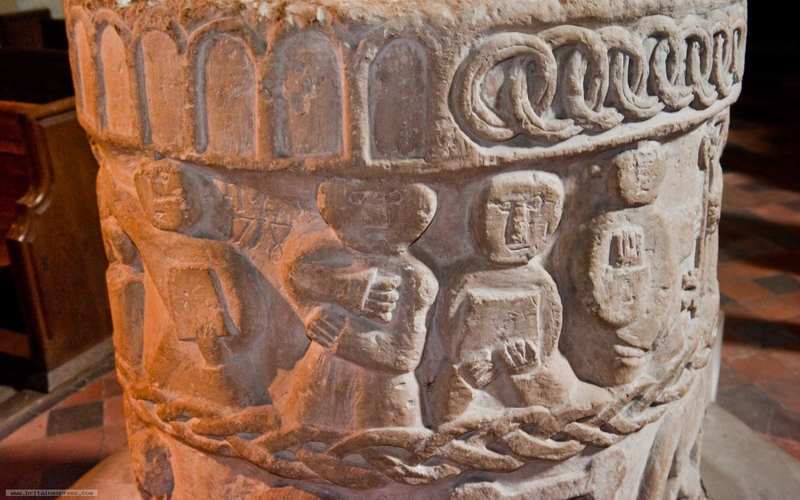 The church boasts a lovely Norman south door and this superb Norman tub font, carved with a multitude of figures. 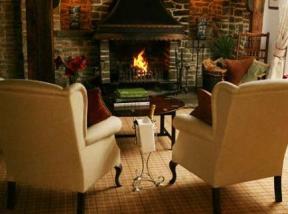 The carving style is known as 'rustic', which sounds like a negative term, but it really is full of life and vitality. There are similar fonts at other nearby villages, including North Grimston and Cowlam. It is quite posible that these fonts were carved by the same team of craftsmen.